Sell your Structured Settlement, Annuity or Lottery Payments. We pay an Average of $7,000 More Than Our Competitors! Quotemeaprice.com will provide you multiple offers to purchase your future structured settlement payment rights for a lump sum of money. 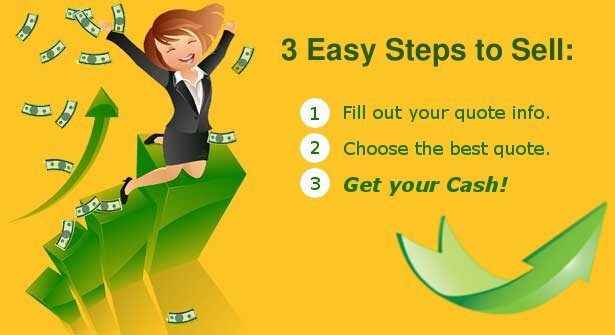 Our structured settlement buyers and investors will compete to get you the best price now. Get Cash by Selling Your Annuity to the Highest Bidder Today! If you find yourself in need of a lump sum to pay medical bills, fund a business opportunity, purchase a home or car, or for any other reason, you might be thinking about selling your annuity for cash. Selling an annuity might be the best way to get the cash you need now. When you arranged to receive your structured settlement or annuity, 120 monthly payments over 10 years probably seemed like a wise way to provide financial security for yourself. But today, an unexpected financial burden or opportunity might be causing you to think over and over again, "Must sell structured settlement." We can take that burden off your mind and help you get the most money for your annuity or structured settlement. Tomorrow's money doesn't pay for today's bills, unless you sell your annuity. By selling structured settlements and annuities to companies in a competitive and open virtual marketplace, we make it easy, and lucrative, for you to get the money you need now. When structured settlement companies compete for your business, you win. You wouldn't auction a classic car to the first person to make an offer and you shouldn't sell annuities to the first company you call. We get you the most cash for structured settlements by creating a marketplace where multiple companies make you competitive offers for all or a portion of your annuity payments or structured settlement. Our approach to selling annuities brings multiple companies to you, saving you time and making you money. We simplify the selling process so you can quickly designate a specific amount of structured settlement annuity payments or number of years for sale. You specify your terms and then sit back, relax and watch us go to work for you. Taking care of you is our priority. We don't just say we're good at selling an annuity, we deliver results. Our method consistently gets our customers more cash for annuity sales than they would get by approaching one company at a time on their own. We're always available by phone or email to answer any question you have from 'how do I sell my annuity?' to 'which offer should I choose?' to 'how does this work, again?' The choice is entirely yours as to how much of your structured settlement or annuity payments you should sell. Get on with living by selling your structured settlement with us today. Give us a call now to get the cash you need. Thanks to QuoteMeAPrice.com I was able to save my house from foreclosure. The customer service was the best by far from any other company I dealt with in the past. They got me $10,000 more than any other company offered me. Thank you again.